After the mild disappointment of the fourth Horrors album, it’s good to hear Tom Furse getting back to his electronica side-line. 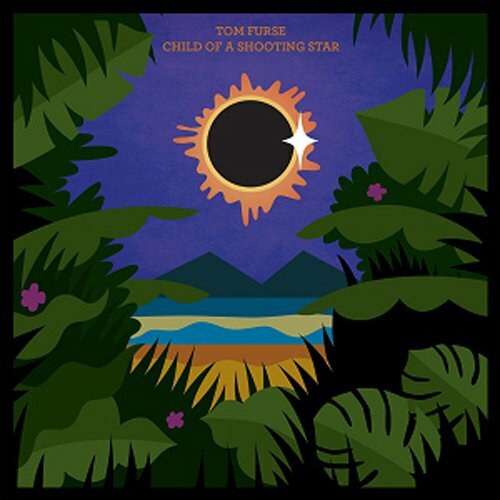 On Child of a Shooting Star, Furse seems to be taking his cue from the library music pieces he recently sourced for his Lo Recordings compilation, Tom Furse Digs. The four brief instrumental numbers which make up this EP dabble in gently swaying, breezy exotica (‘The Ocean is Teacher’), bright 80s techno-pop (‘Trans-Universal Express’), industrial-lite tension (‘Let Your Body Go’), and floaty, folky new age vibes (CloudMontain’). And it’s all lovely. From the sounds of it, Furse has been immersing himself in some prime Tangerine Dream and other exponents of kosmische mood music, and there’s nowt wrong with that. Hopefully he can bring some of these far out sounds to the next Horrors record and stop them turning into U2.